The AR15 rifle is one of the most popular and most sold rifles in America today. One of the problems with the AR is it is made of Aluminum and Polymer parts. It is very difficult to customize these materials unlike a fine piece of wood. 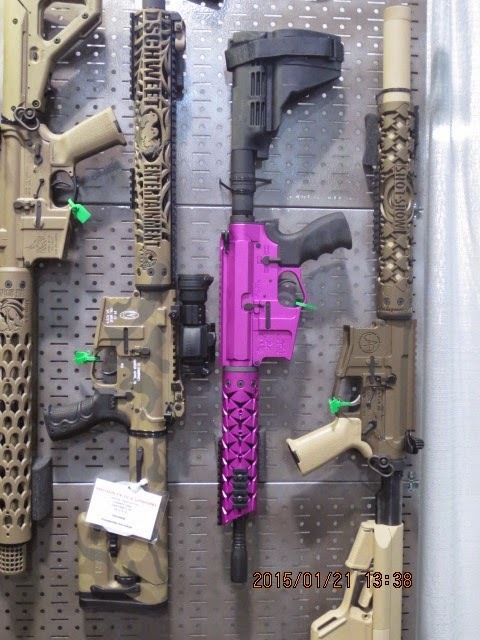 You can Cerakote your AR rifle almost any color or colors you want but that is basically the extent to beautify your rifle. Now with Unique-ARs (www.Unique-ARs.com) you can truly make your AR rifle your own. 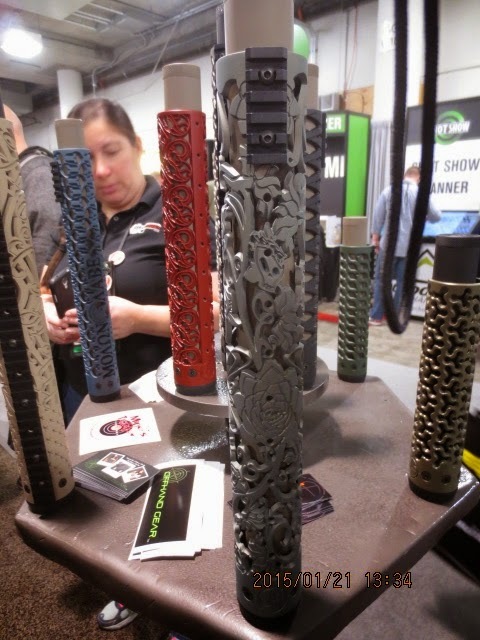 Unique-ARs makes handguards with various designs for your rifle. 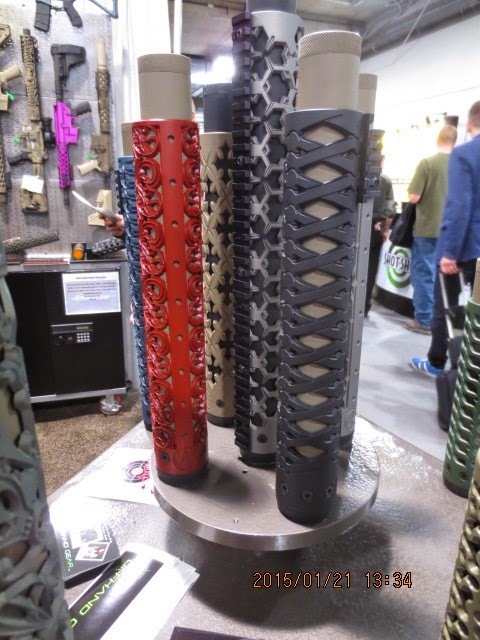 Choose from an off the shelf pattern or have your own design made into your handguard. They can even drill and tap your handguard if you need to add picatinny rails for additional accessories. 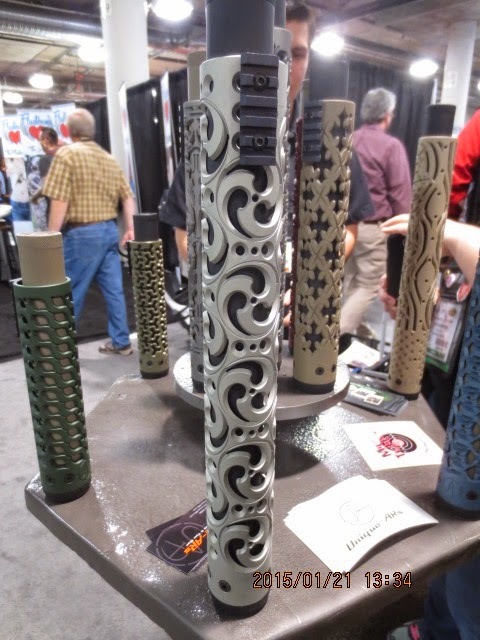 If you don’t like the basic black they can anodize or Cerakote your handguard and rifle to your liking. Pricing will start at approximately $175 and goes up depending on the complexity of the design. But this is on par with any other freefloat handguard you will buy on the market. 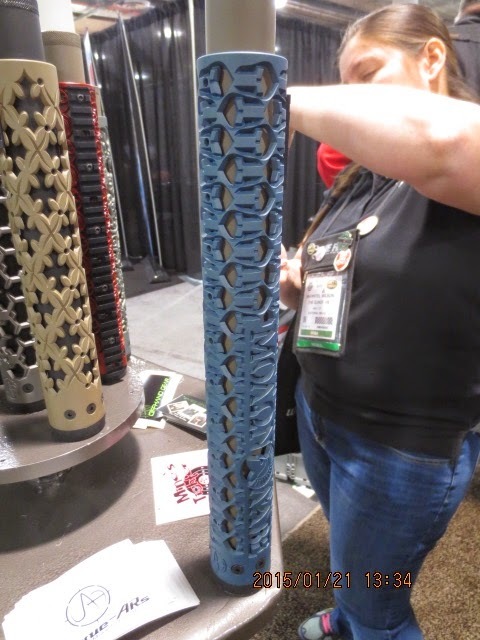 As comparison the new keymod handguards by BCM or Midwest Industries are $260 and $230 respectively. Unique-ARs is very cost competitive especially since you are getting a custom handguard. Below are some samples of what Unique-ARs can do for you and your rifle. Who says Aluminum and plastic has to be dull and boring? I'm so getting me one of these! Okay...I have to say I'm impressed. That's the coolest AR accessory I've seen so far. I kind of like that jewelry in the desert tan or black. Not sure if this thing works, but those are very creative and attractive forearms for the AR 15 rifle. Looks like the manufactures are trying to get away from that evil black look to gain acceptance from new to the sport shooters. The postings on this site are our own and do not necessarily represent our employers' positions, strategies, or opinions. The GunDivas by The GunDivas is licensed under a Creative Commons Attribution 3.0 Unported License. Based on a work at www.thegundivas.com. "Sweat now, so your manuscript doesn't bleed red later"